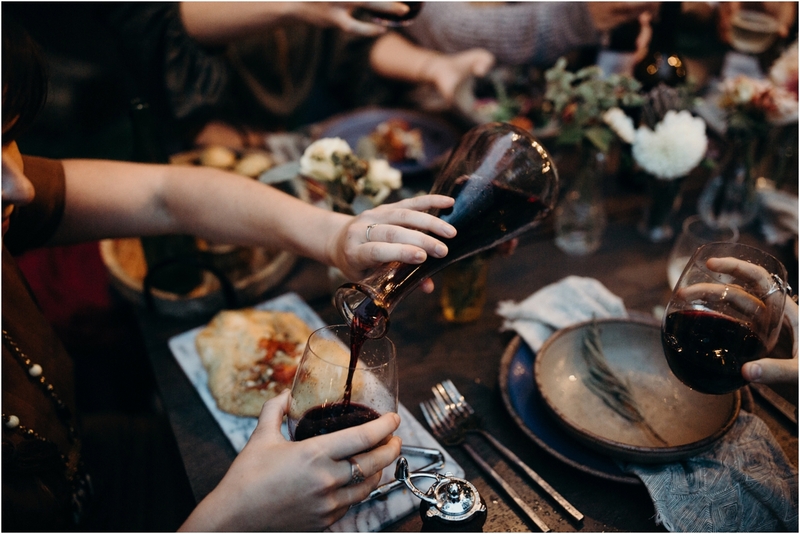 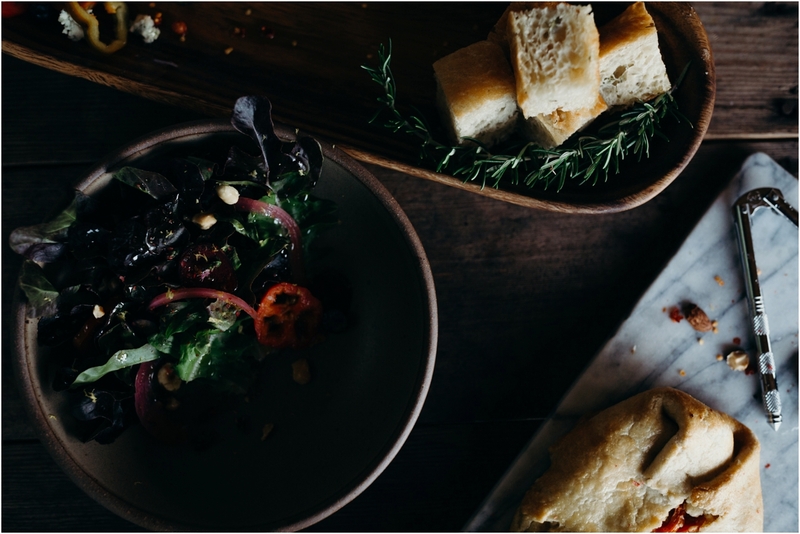 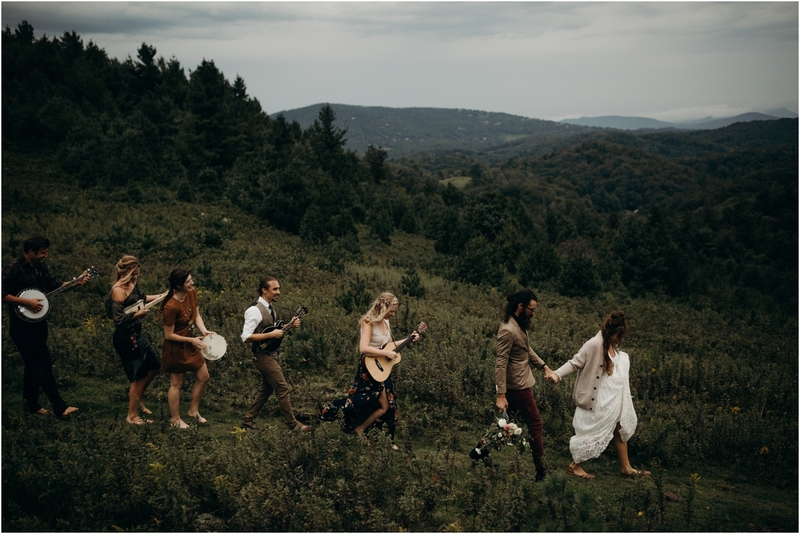 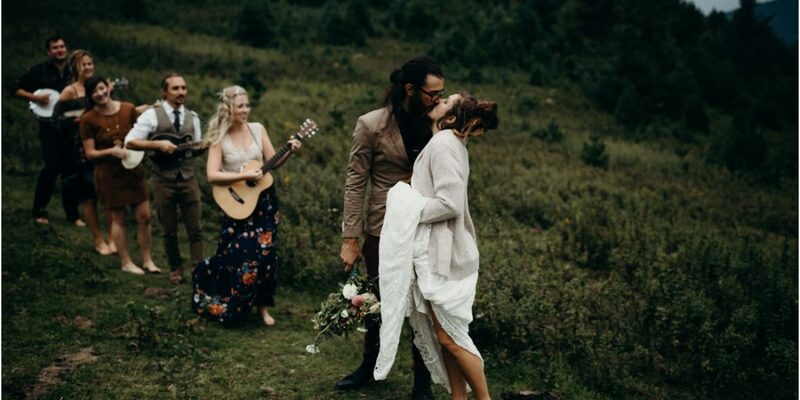 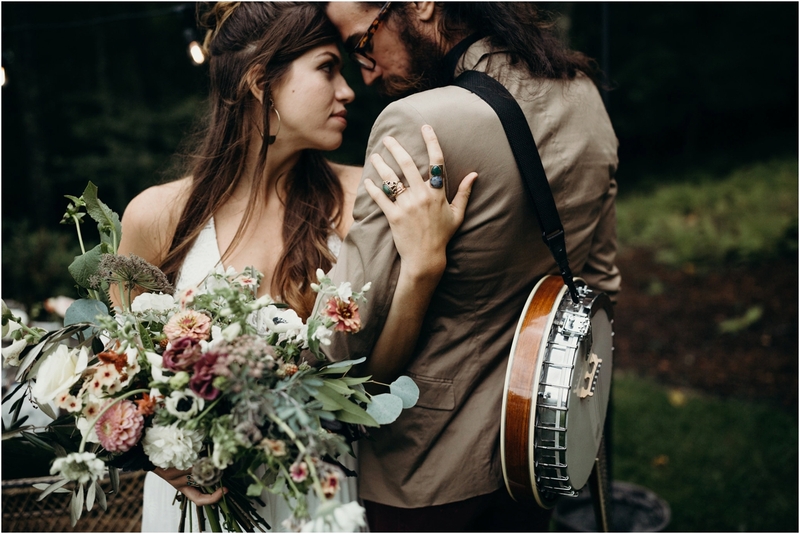 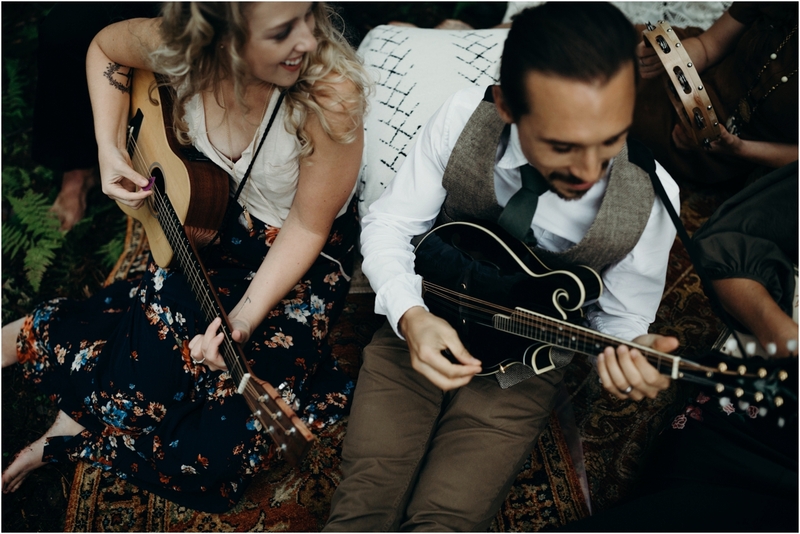 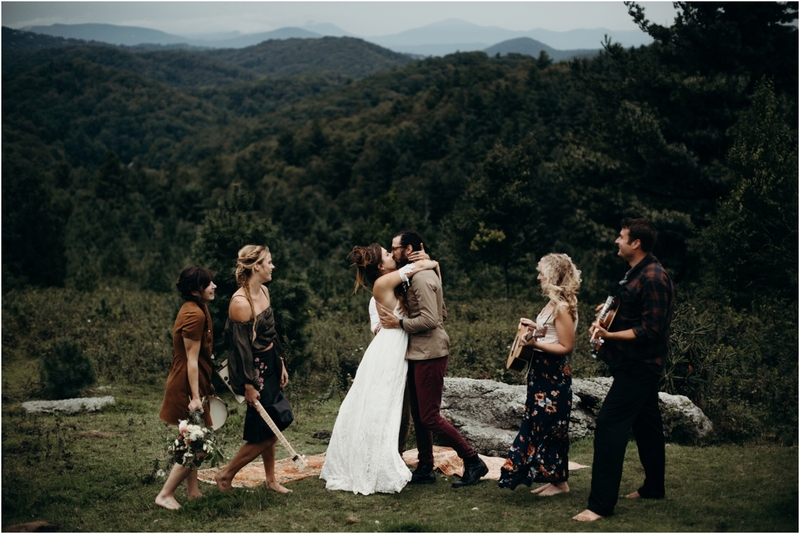 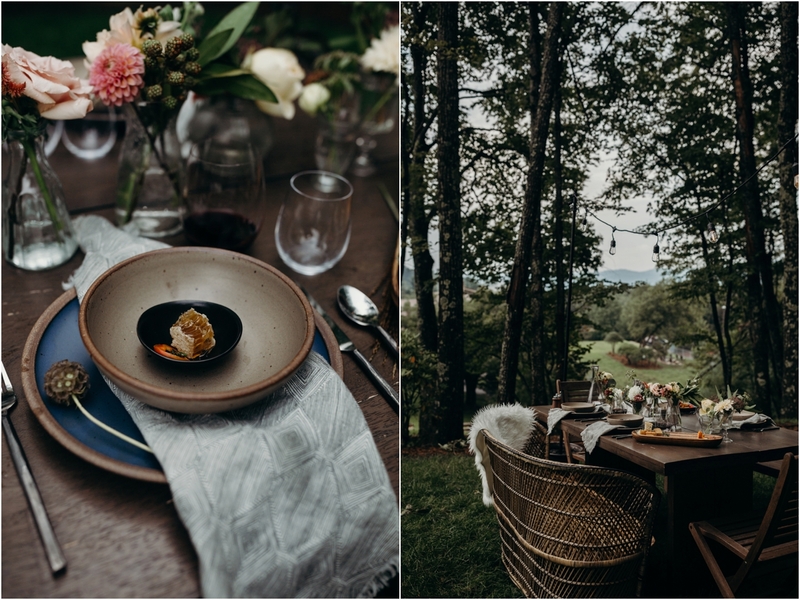 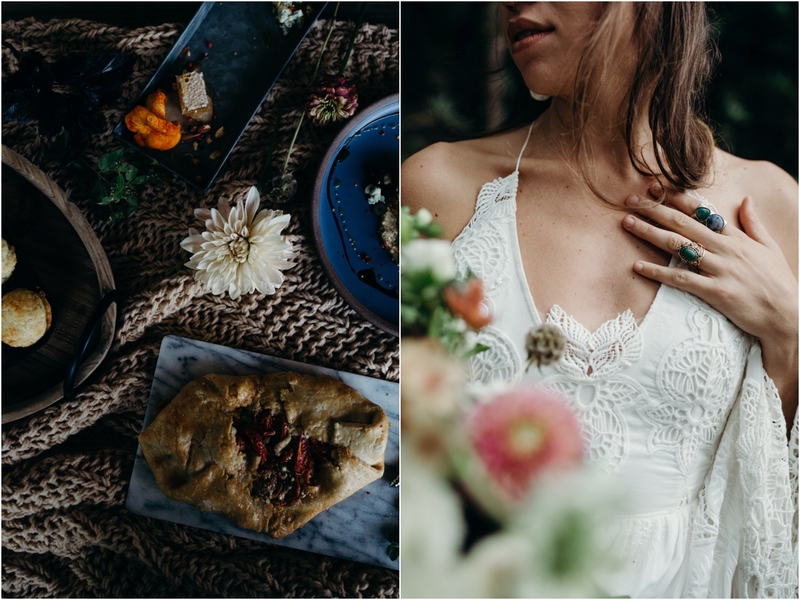 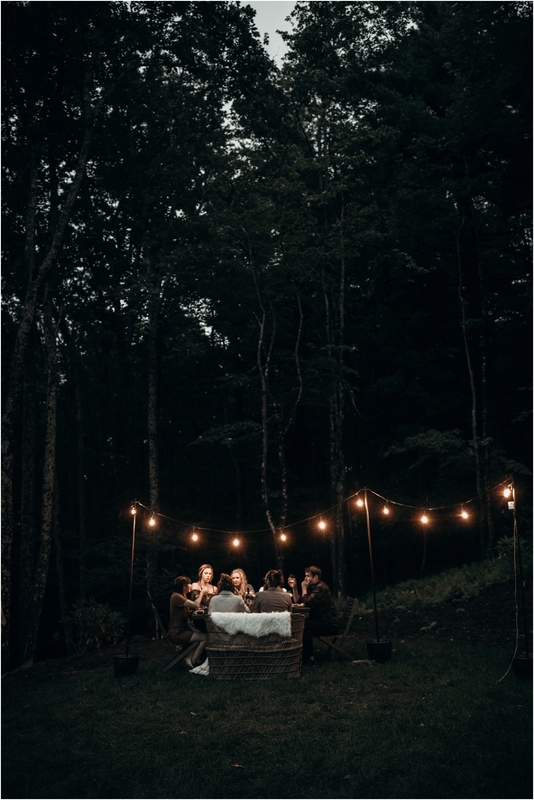 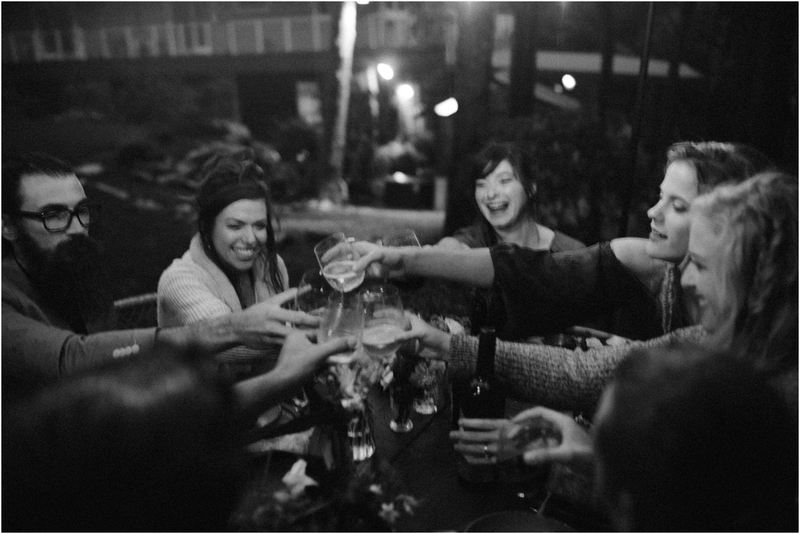 Blue Ridge mountains, bohemian style, local foods foraged plus plated with beauty by Reids on pottery from East Fork Pottery and laughter plus the sound of Appalachian folk music, made for an all time favorite day of mine. 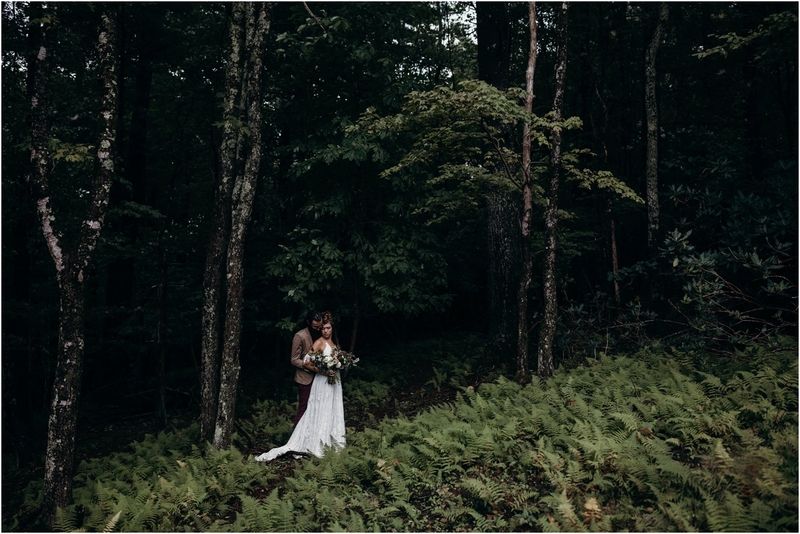 The weather cooperated for maybe 20 minutes total. 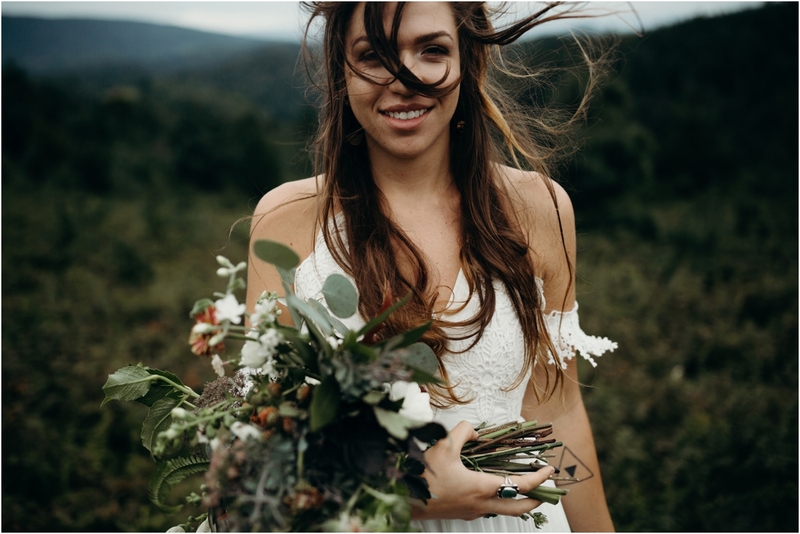 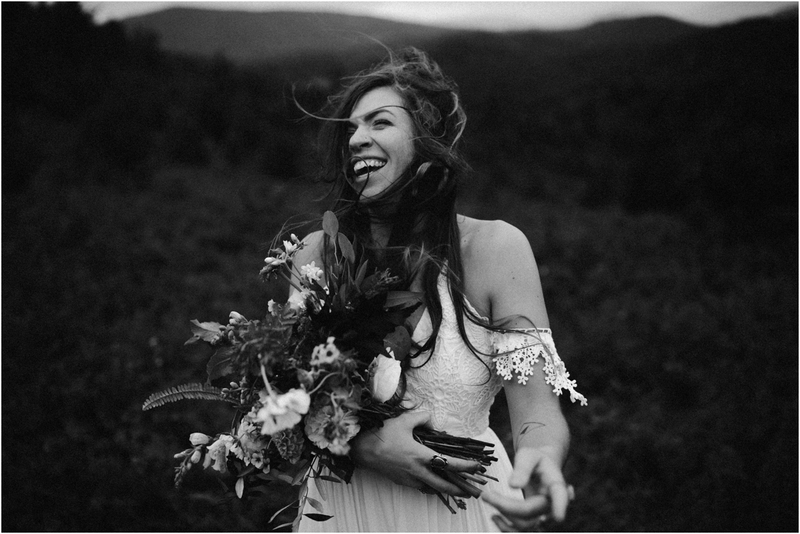 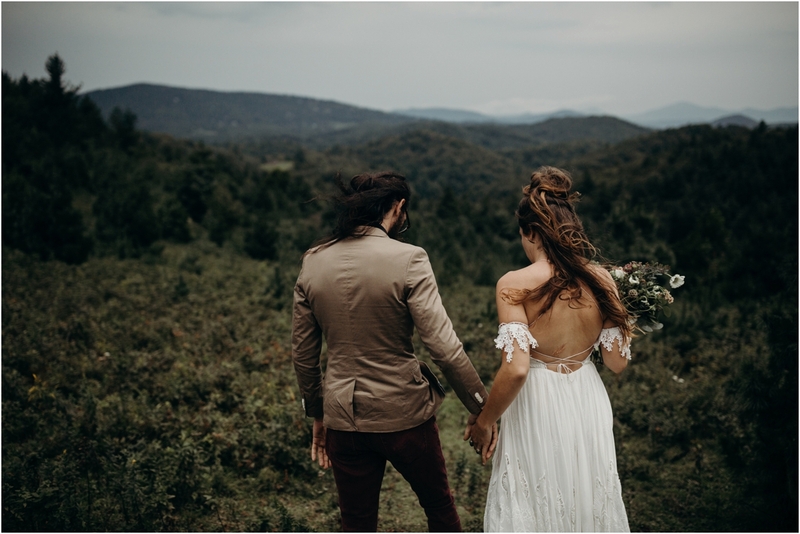 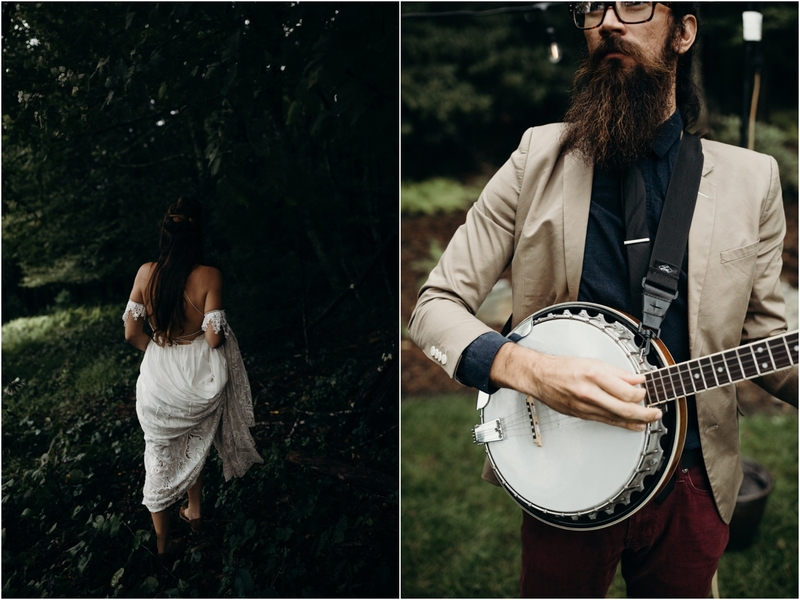 I think the overall free spirit vibe coupled with the mood of the rain and wind really added to the feel of the elopement. 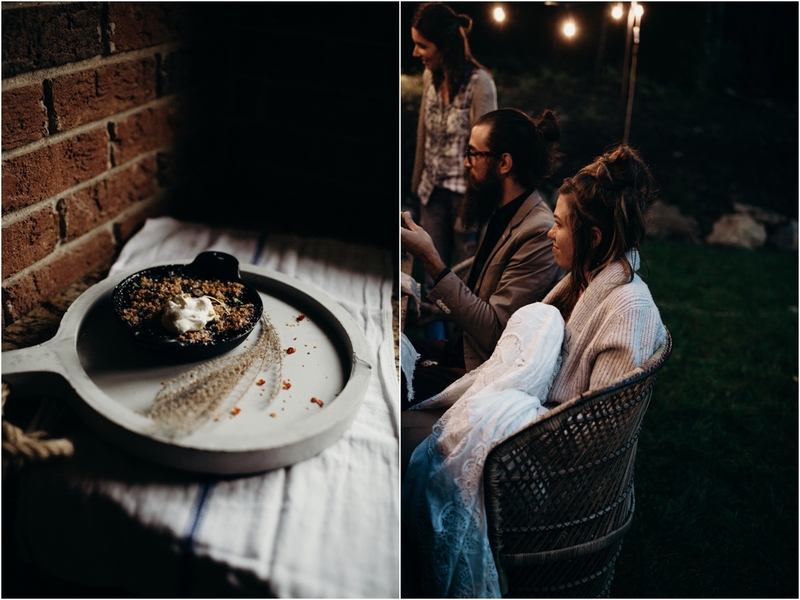 Planning by The Whole Shebang and styling by Laurel Collective and flowers by Fushia Moss Floral. 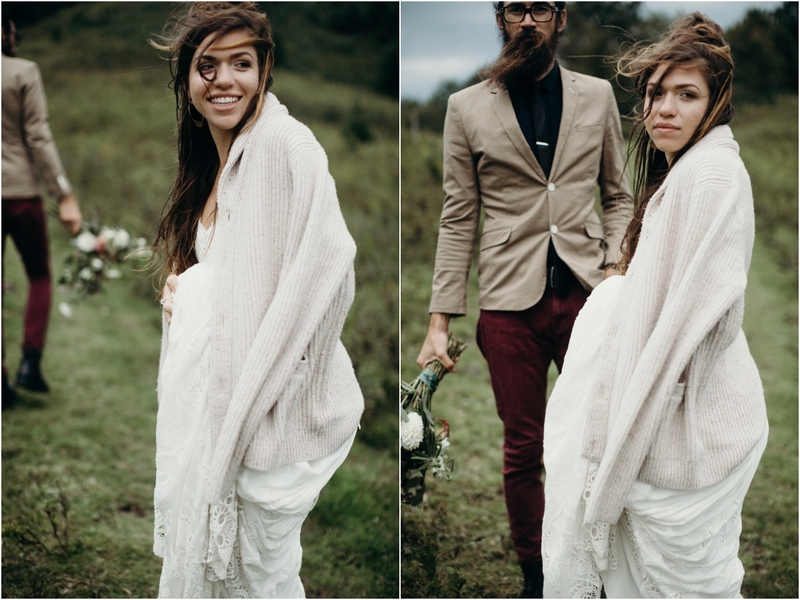 Also the brides hair is in the most fabulous half updo by Shear Shakti . 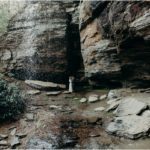 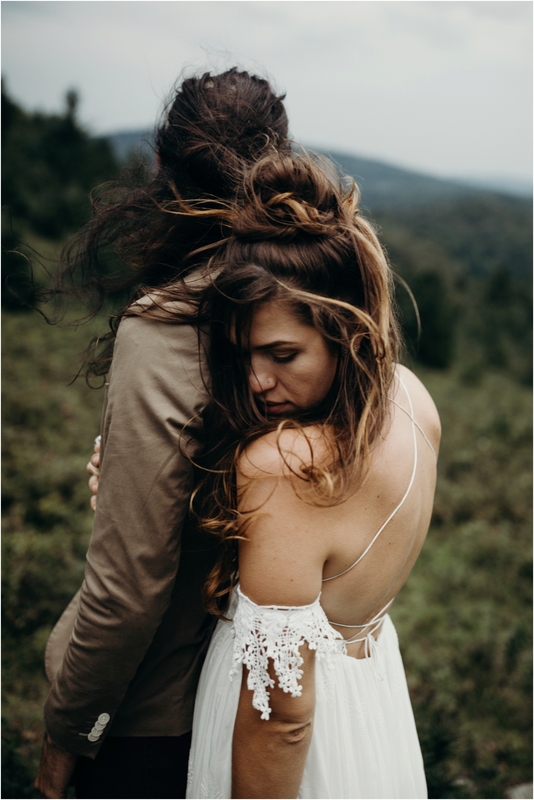 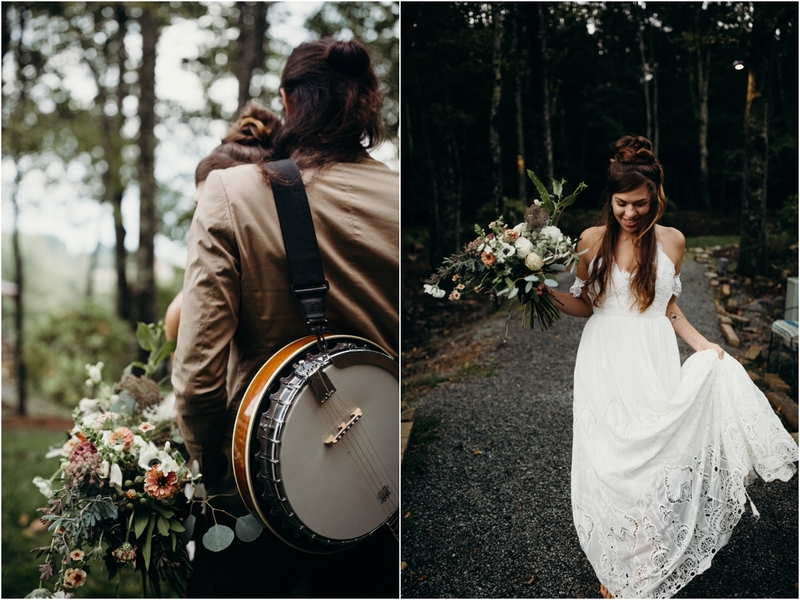 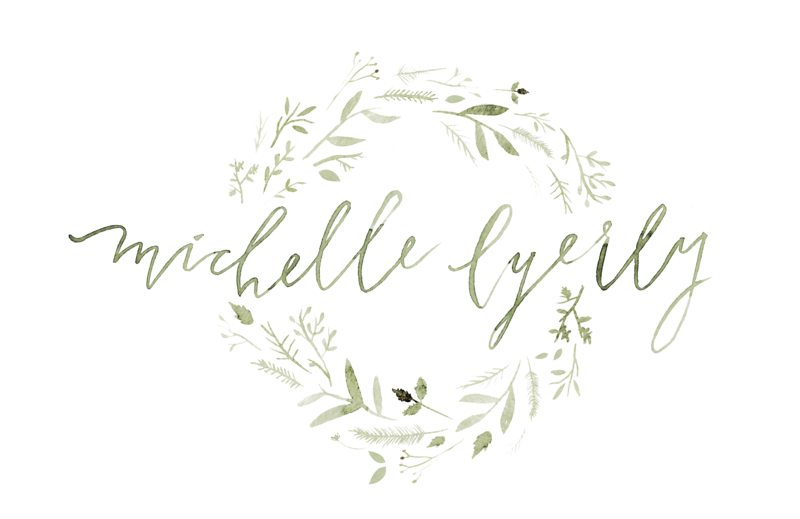 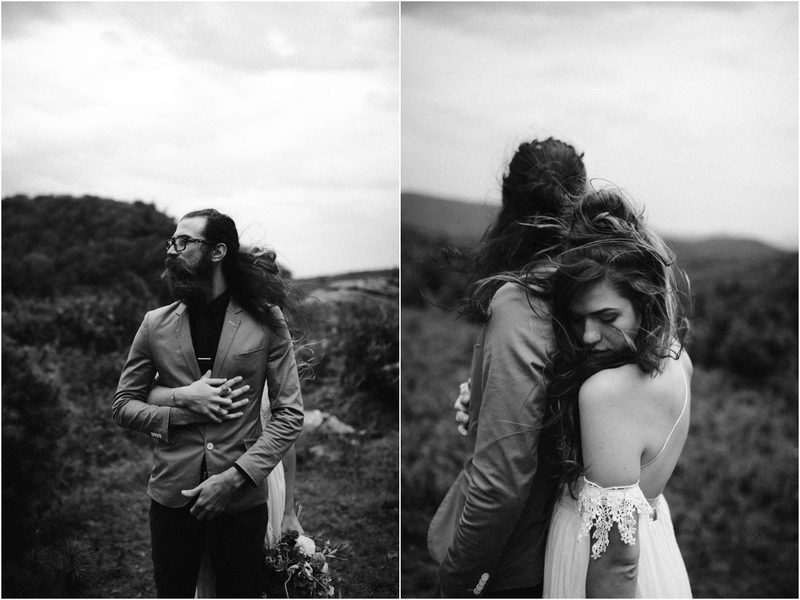 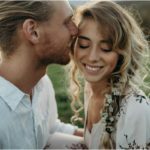 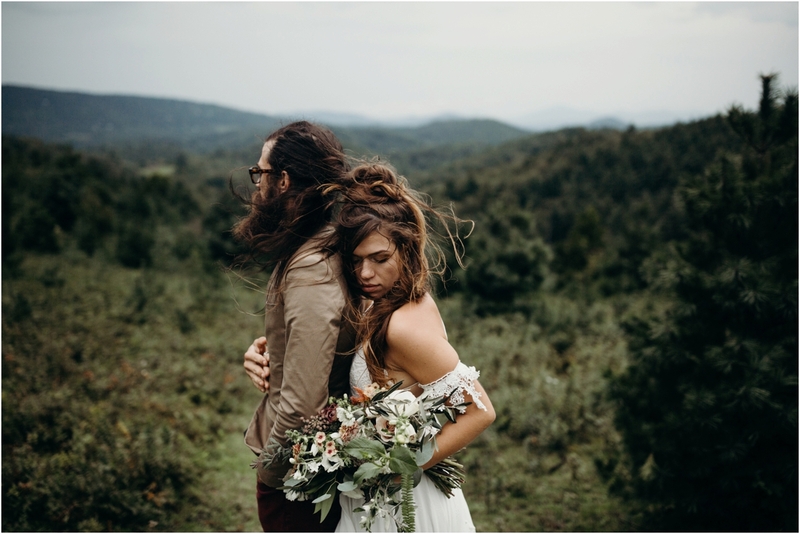 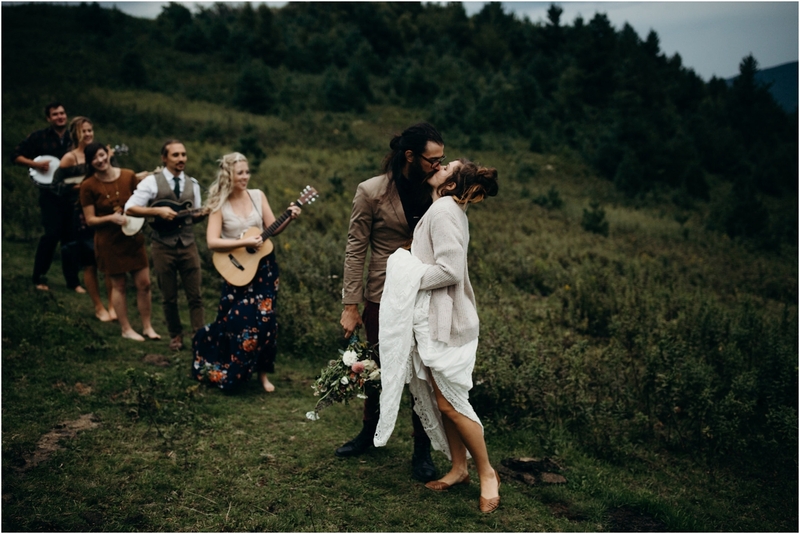 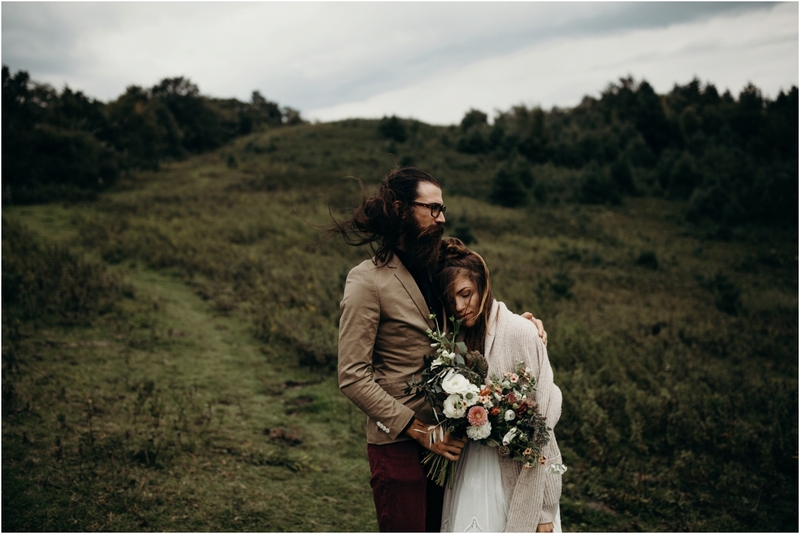 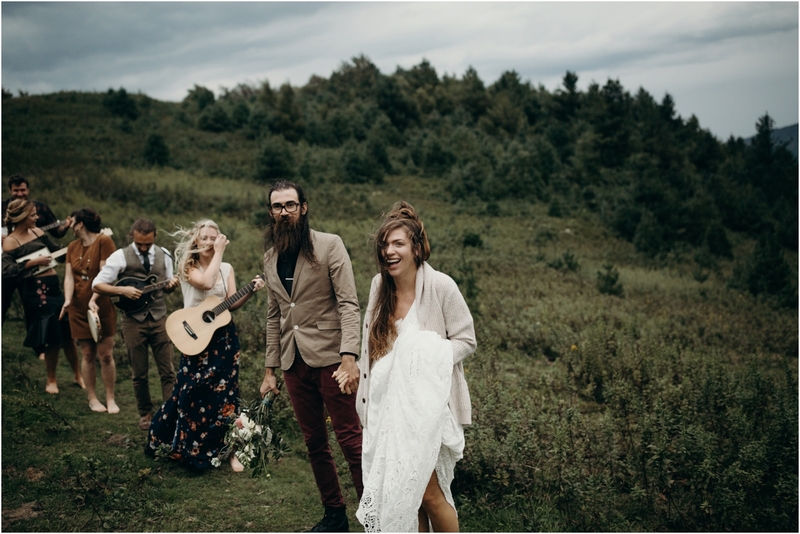 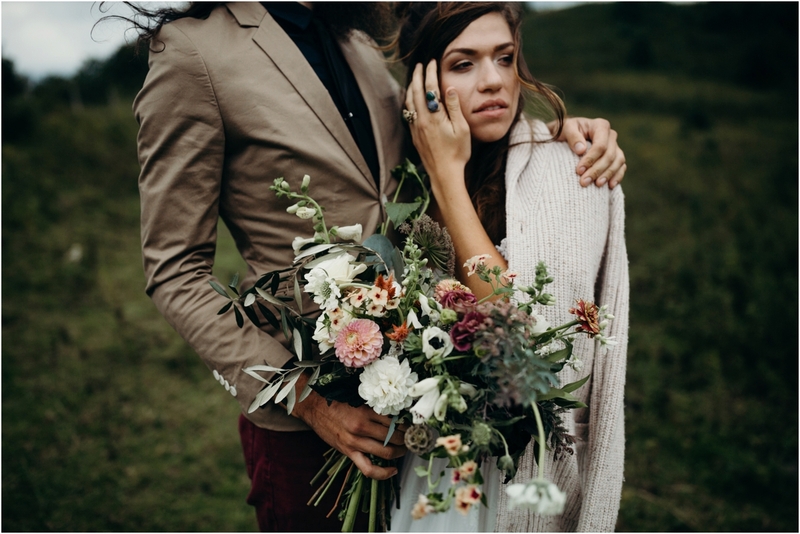 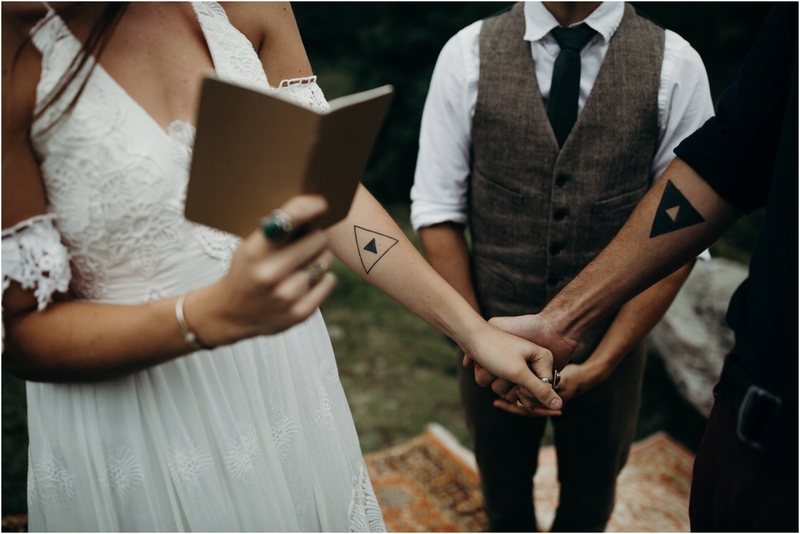 Here are just a few favorites of mine from this elopement.